Having reached Santiago, we had some hard choices to make, for the next two weeks. 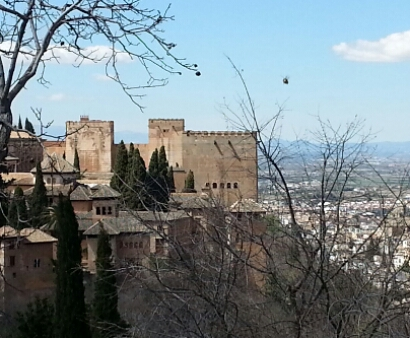 We chose south, with a night’s stopover in Madrid and a train to Granada. Early the next morning we dashed up the hill in the dark to get tickets to enter the Alhambra. (All reserved tickets were booked for 5 days, and the limited number of same-day tickets is sold as first-come first served.). 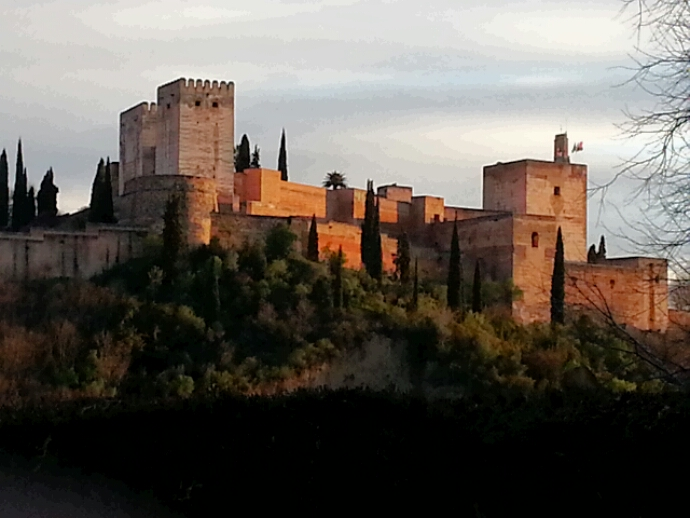 I had never been to Granada before and it was definitely worth the trip. 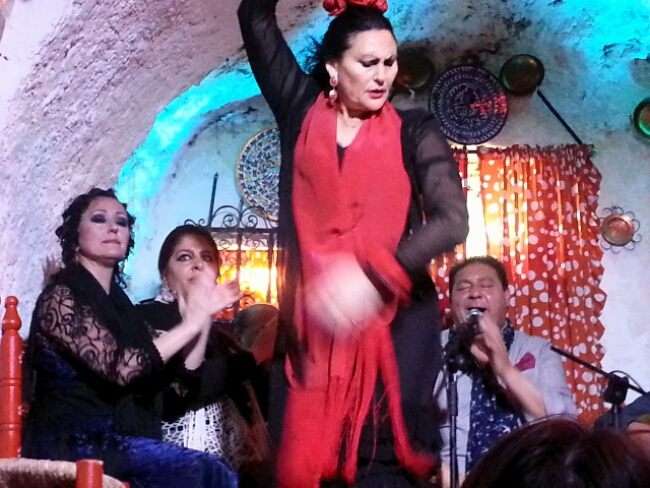 After a great dinner on the hillside overlooking the Alhambra, we took in a flamenco performance. Next day we were on the move again. 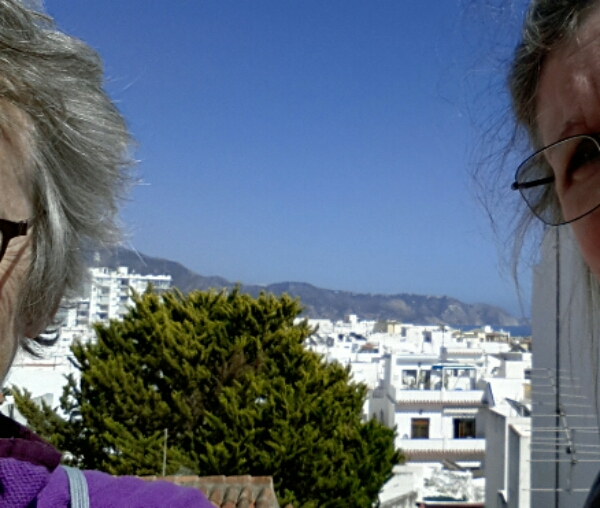 Walked 4 km to the bus station before coffee and got on a bus to Nerja on the Mediterranean. 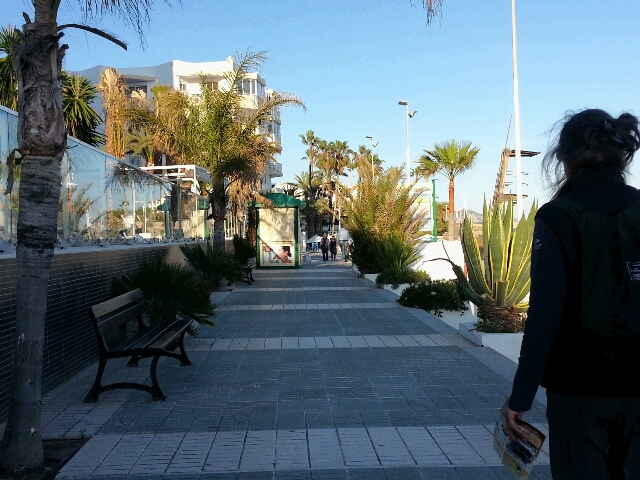 This 2-hour ride was quite spectacular (sorry – no photos) and we were oddly surprised but very happy to find ourselves on the Costa del Sol in all its sunny touristic glory. Why surprised? I guess that the change from Galicia was great, and we hadn’t planned any of this. Why happy? For the same reasons. We’ve started to act as if we are backpacking around Spain. Wait! We ARE backpacking around Spain! 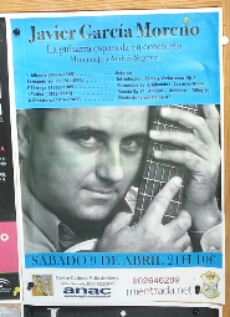 We strolled around Nerja, ate by the Mediterranean, attended a Spanish guitar concert and called it a night. April 10, 2016 in Travel. Backpacking around Spain? Now why didn’t I think of that? 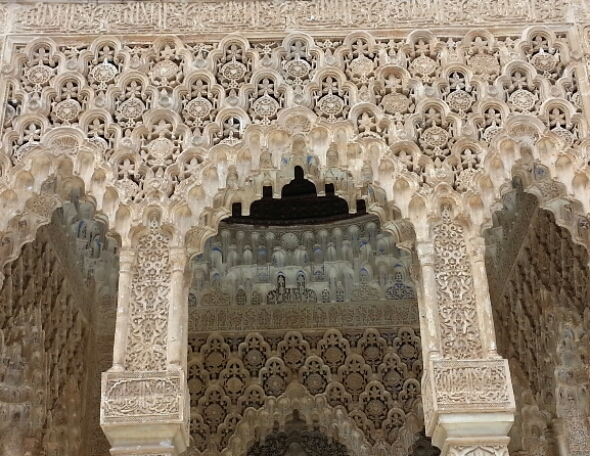 It’s nearly 50 years since I visited the Alhambra! Glad to read your blog again after some days without it! Clare, if you’re still in Nerja you are only half an hour away from me. Any chance we can meet up? Sorry, I just saw this. 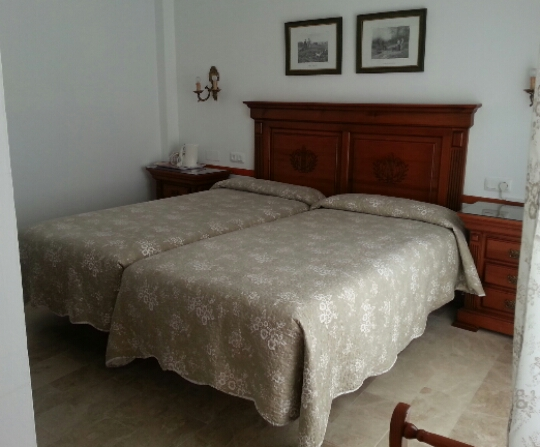 We are at the Cuevas (Hotel Al Andalus) and plan to walk to Frigiliano tomorrow. After that we have not decided! Email me: tritetales at Gmail dot com as that works faster than WordPress notifications.